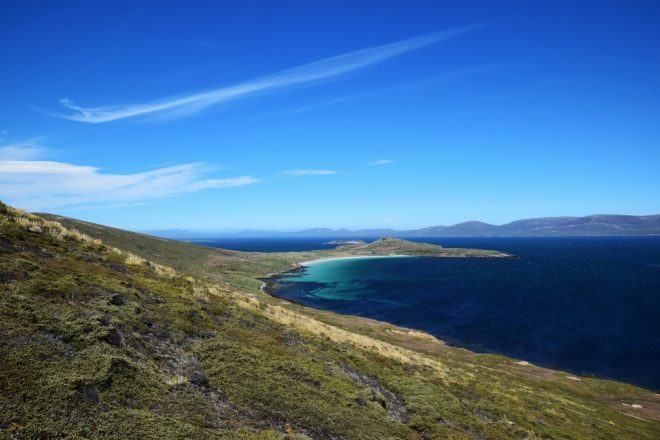 Community lead Ross James gives Surfers Against Sewage the lowdown on plastic pollution in the Falkland Islands and how the world’s most southerly Plastic Free Community – Plastic Free Stanley – was born. Q: Tell us about Plastic Free Stanley. I think it’s fair to say that people in the Falklands value wilderness, freedom and fresh air. They take pride in the unpolluted natural beauty and abundant wildlife the islands have to offer. But even the Falklands, as wild and remote as it is, isn’t immune to the scourge of plastic. 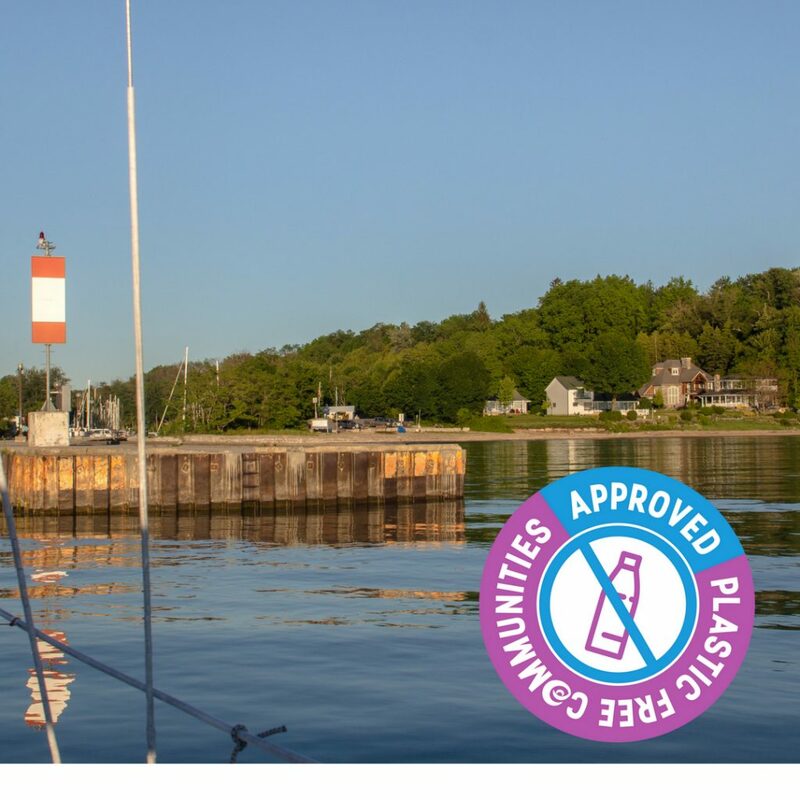 The growing awareness of plastic pollution and the physical evidence of it on our own beaches inspired the community to take action. We agreed unanimously at an open meeting that we should adopt the Plastic Free Communities model in order to drive the change we wanted to see. 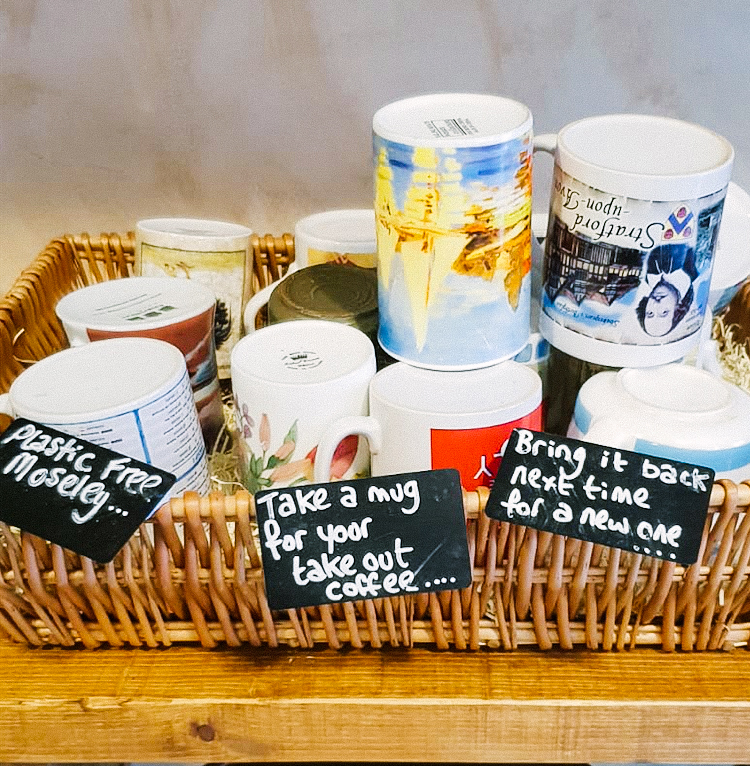 We set ourselves the goal of achieving Plastic Free Stanley status by 2019, and we’re committed to use what we have learned to roll out across the whole Falkland Islands. Q: How severe is the plastic pollution problem in the Falkland Islands? Fortunately, many beaches remain virtually pristine. The sand is white, the sea clear and on a sunny day you’d be forgiven for thinking you were on tropical island. And then you see a penguin or an elephant seal bellowing and you remember that it’s next stop Antarctica. That’s not the whole truth though – other beaches don’t see people from one month to the next, yet they’re covered in plastics which have come in on the tide. The Falklands is a place of contrast. 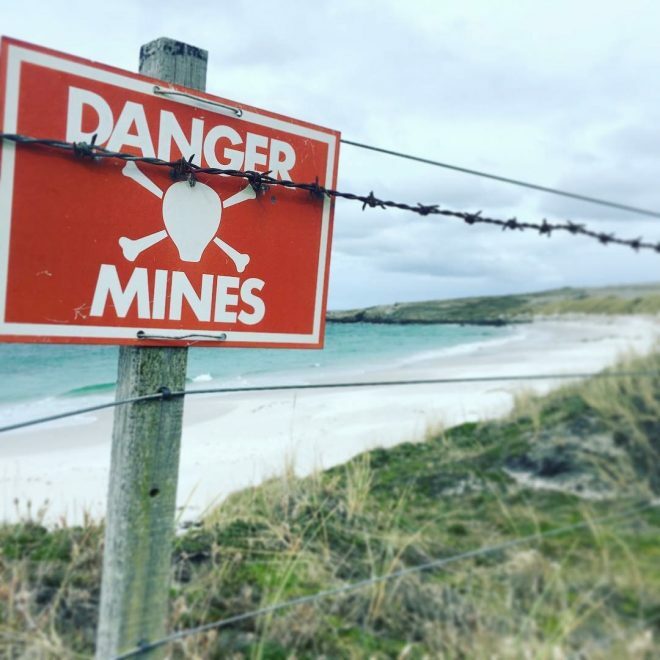 During the Falklands War, landmines were planted along the coast all around Stanley, making some beaches and coastal areas inaccessible. Many landmines have been removed and the previously inaccessible stretch of coastline behind Stanley’s landfill site was cleared last year, opening the area for the first time in 35 years. The landmines here are plastic and difficult to detect with metal detectors. You could say that clearing the Falklands coastline of landmines might well have been the most extreme ‘beach clean’ in the world! Unfortunately, it wasn’t pristine beaches untouched by mankind that awaited beyond the minefield fence, but a coastline strewn with windblown plastic. Plastic Free Stanley intend to do some cleans of the recently de-mined areas. Q: What kinds of plastic waste are commonly found on your beaches? We find plastic waste which has come a long way but we also encounter waste from fishing grounds closer to home and in some places, such as in Stanley harbour, we find plastics like tampon applicators and earbud sticks which have been flushed down local toilets, or drinks bottles and crisp packets washed from the land. 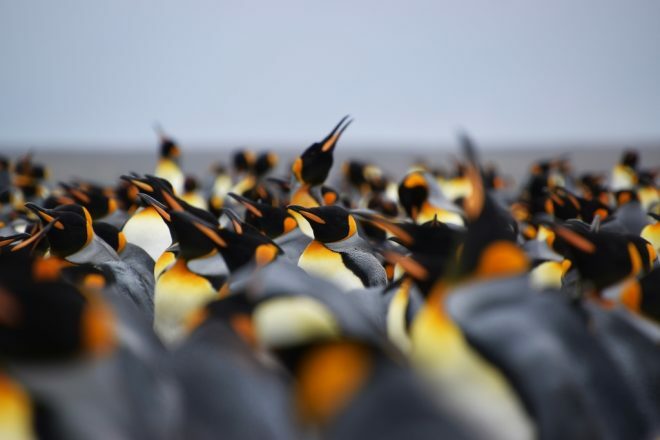 Q: What sort of impact is this having on marine and coastal wildlife in the Falklands? 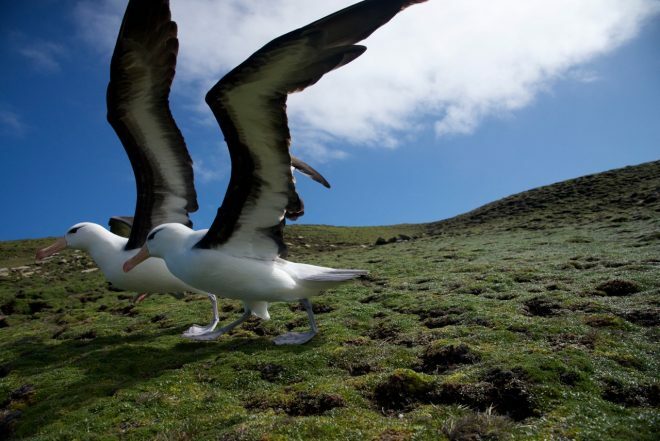 Local conservation charity Falklands Conservation are sometimes called to deal with seabirds or marine mammals that have become entangled in plastic debris. Sea lions and fur seals are susceptible to plastic and rope loops that become lodged around their necks; the injuries often prove fatal as the animal grows. 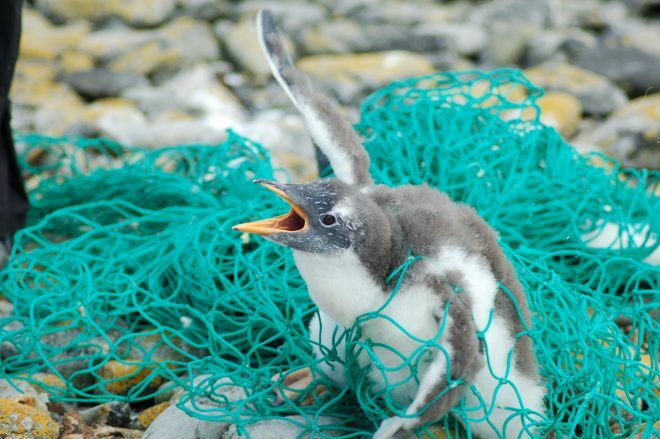 Seabirds, including penguins and coastal birds, have been reported ensnared or tangled in marine debris items or caught in derelict gear. It’s also likely that there are interactions in the ocean environment that aren’t easily observed. In a recent study we found that the turkey vultures living around Stanley ingested substantial amounts of plastic and their pellets were found to contain on average 1.6g of plastic and anthropogenic debris. 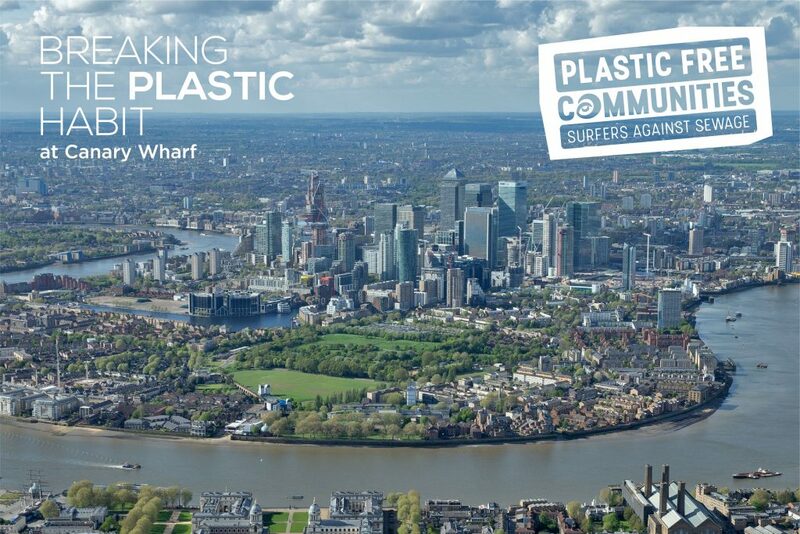 Q: Tell us about the work the community has been doing to achieve ‘plastic free’ status? We’ve been working hard to reduce single use plastic at an individual level and among local businesses and organisations, and we’re waiting to hear if a paper in support of reducing single-use plastics will be adopted by the Falkland Islands Government, and we celebrated World Oceans Day by partnering with other local organisations, businesses and government to organise an evening of ocean plastic-related presentations. But perhaps more important than the events, are the individual actions people are taking. For me the greatest victories are the smallest acts, when a child refuses a straw or picks up a piece of rubbish from the beach – that’s when we know we are making a real, tangible and long-term difference. Q: What have been the biggest challenges so far? By far our biggest challenge in the Falklands is our remoteness. We have a tiny population – about 2,500 – and we’re a long way from anywhere. This means we don’t have recycling facilities and being at the very remote end of a supply chain means we don’t have much choice or ‘purchasing power’ when it comes to influencing markets. That said, we punch above our weight when it comes to community engagement and decision making – The Falkland Islands won the right to self-determination in 1982, and that freedom and independence is ingrained in all those that call it home, so when people want positive change, it can happen relatively quickly.